CNC offers A06B-6088-H215 Fanuc alpha spindle exchange, testing and repair. With testing and diagnosis facilities available for the A06B-6088-H215 type-1 interface drive module. The spindle is normally fitted with Model 15 / aP22 spindle motor with various sensor feedback. If required full testing of the A06B-6088-H215 or repair services is available. CNC offer all work in house and do not outsource any repairs, or testing off Alpha SPM-15 spindle modules outside the group. Please let us know if you have other versions of this drive as these are incompatible to each other due to added or reduced functionality. The Price for A06B-6088-H215 drives is second to none. Either service exchange with a core credit exchange policy. Or repair of the complete spindle drive. This includes control/interface board and power board. Assuming they’re in repairable condition with full comprehensive testing. 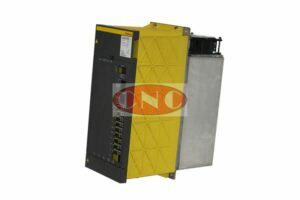 All A06B-6088-H215 spindle units are tested on Fanuc serial controls with Fanuc spindle motors. Warranty for A06B-6088-H215 and variants is s on Exchange and Repair.